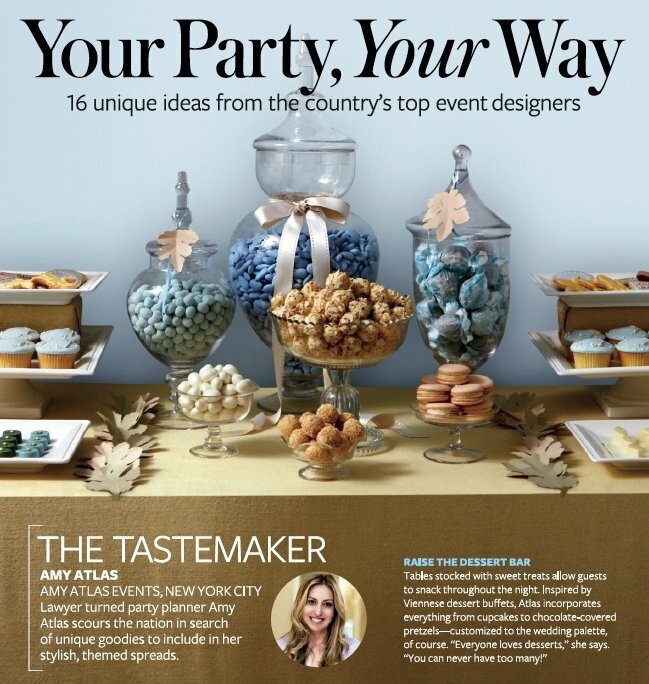 I'm excited to share a chat I recently had with event planner Amy Atlas, owner and founder of Amy Atlas Events in New York City, who specializes in creating high end dessert tables. Her words may prove to be helpful and inspiring to small business owners or to those of you looking to launch your own event planning business. Amy wrote in a few weeks ago and the minute I saw her work I knew I had to learn more about the person behind it. In this interview, Amy talks about her life as an event planner but what I was surprised to learn is that she is an attorney with no design background. This is encouraging because I know lots of you have told me that fear pursuing your creative passions without a background in design. Many conclude that making a huge professional leap, from attorney to party planner for instance, is just not possible or practical. In some cases it may not work but only you know the answer and I believe that passion and talent ultimately will help you eventually to overcome your fear and go for it -- just like Amy! 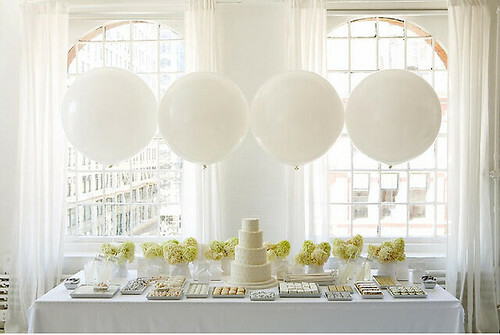 I also found it interesting how her friends and family helped her to consider event planning as a business. It's good to listen to the popular opinion of your friends! Let's read what what precious pearls of wisdom she shares here today... and if I missed asking a question you'd like an answer to, please use the comments section and leave your question for her there. When and how did you start your business, in other words, how did you go from idea to execution? In 2007. 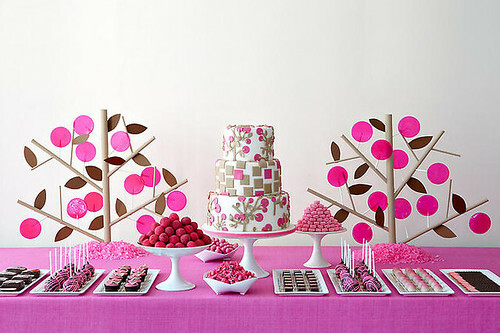 I've always loved to entertain and create my signature dessert buffets. It was a hobby of mine, and it organically grew into a business through word of mouth. Friends and family encouraged me to make a business out of it. After practicing law and having two children, I decided I wanted to tap into my creative side. 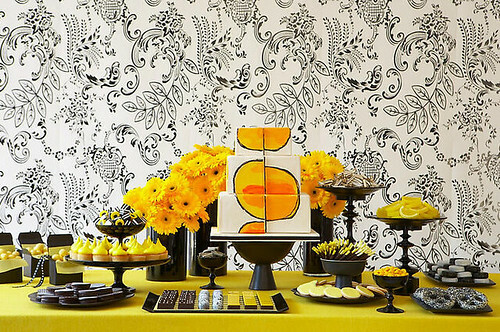 I started by creating dessert tables for friends and then friends of friends. Because no one had taken the candy buffet to the next level, I recognized that there was a niche that could be filled. I worked hard to perfect that niche and developed a reputation as the go-to-girl for dessert bars. I am an attorney. I don’t have a design background, but like many, have always had a creative side. What types of events are you doing? We do all types of parties from weddings, corporate, Bar/Bat Mitzvahs, to graduation and birthday parties. Do you do everything alone or do you have staff? If you have employees, how many and what are their functions? I have a boutique firm with a small staff. I am involved with even the smallest details of every party. People hire me for my signature style and I want to make sure that my clients get that. What do you enjoy most about event planning? I love seeing a client’s inspiration develop into a story for their event. It is extremely gratifying turning a client’s vision into reality and seeing their response (as well as their guests) to the design at the event. I noticed recently on your blog you talked about a baby naming event you recently planned. For those who don't know what this is, can you explain? A baby naming is a ceremony commonly held by Jewish families to introduce their new baby to their network of friends and family. At this ceremony, a Rabbi officially gives the baby her given name. It is a chance to present a baby to the community to which he or she belongs. What is a constant challenge for you? A constant challenge for me is taking my designs to the next level. I work hard to make sure that each client has a signature dessert bar that is made just for them. It is a healthy challenge, however, that I gladly welcome! What trends are you seeing out there in event planning? I see that more and more hosts want to have a design for their event and for that design to be carried out from the very beginning to the very end of their event. How did you develop your aesthetic and when do you feel like it all came together? I don’t feel like there was a moment when everything came together. I have always had a distinct sense of style and thought that it would translate well to events. I’m thankful that people have responded well to it. InStyle magazine recently referred to you as a Tastemaker. What do you think earns you that title and sets you apart from others in your field? We are so fortunate to work with so many talented people in the event world, but what sets us apart from others in our field is our signature style and our specialty in dessert bars. 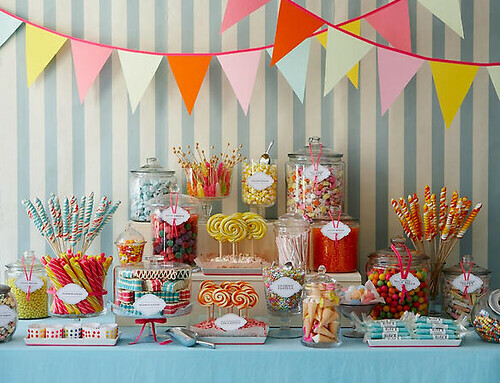 We are known for having taken the candy buffet to another level with the stylized dessert bar, and it has now become a trend. No detail is overlooked when we are creating each one of our custom, signature dessert bars. 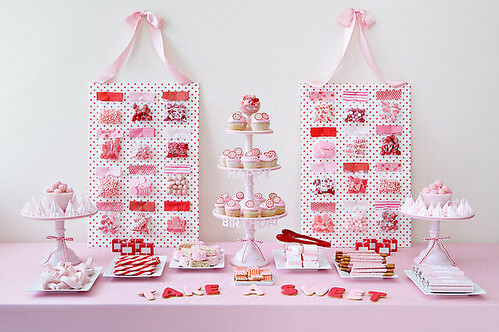 As for taste, we have the great good fortune of being able to sample desserts from the best bakers and candy purveyors from around the nation. 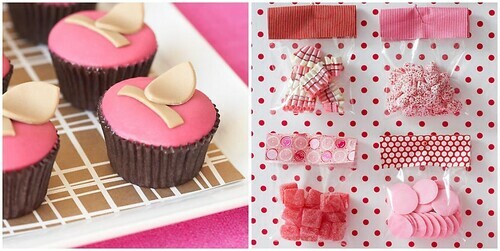 We have samples of delectable sweets sent to us daily and we document all of our findings. We taste everything so we can ensure that our clients are getting the most delicious and beautiful desserts for their event. 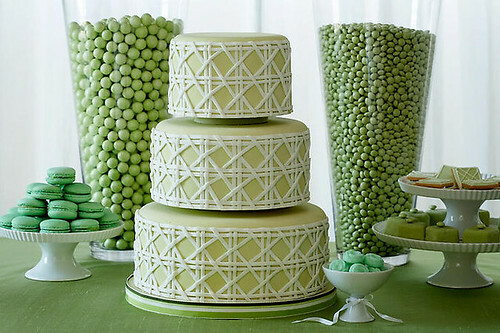 Not only do we have relationships with the best bakers, but we also have sources for every detail that goes into creating a stunning dessert display. Has the economy slowed your business at all? If so, what have you done to stay afloat? Thankfully, the wedding season has kept me busy, even in these tough economic times. 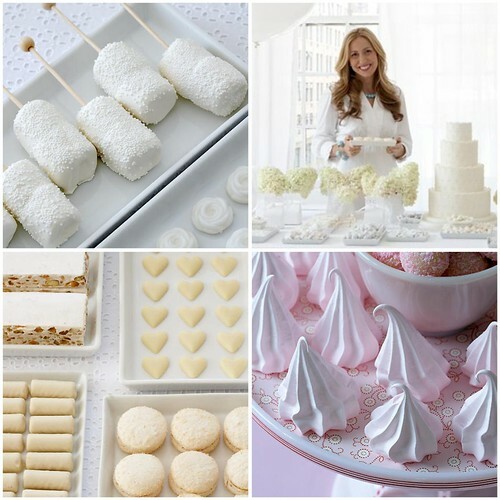 Everyone loves dessert, and brides in particular really like to showcase dessert beautifully on their special day. Because of that, I have remained busy. On your website you have some gorgeous photographs of your work. Do you also take photos or are they shot by someone else? If so, who? The photographs on my site and blog were taken by Gemma Comas and Karen Mordechai. What would be your dream event (to plan) and is their anyone you'd love to work with and why? Perhaps an Inaugural Event. My former career was in politics as a lawyer, and it would be exciting to bring my experiences together. I'm working with Mindy Weiss this fall and am really excited about that! How do you encourage and support other woman in the business? I've been so fortunate to work with many talented women in my business. I work with a lot of young women who are trying to break into the event planning business. I've had gifted young pastry chefs and graphic designers participate in my internship program. I embrace opportunities to work with new and small businesses and am always searching for new, talented vendors to work with. How do you market your business and what tips do you have for others who are looking to spread the word about what they do? While I've been approached by a lot of wonderful pr companies, I still handle the pr for my company. Thankfully, the press and blog world have been very receptive to my designs and I haven't had a need for pr representation yet. With all of the social networking tools like twitter and blogs, it has made it easier to promote small businesses. I would encourage any small business owner to engage in these forms of social networking. I also engaged in a lot of grassroots marketing. I made a list of the press that I wanted to target, found out the appropriate editors who covered stories for each publication, and pitched my story to those editors. If you are passionate about your business, then the story really sells itself. Thank you Amy for these insights and all the best with your business! Readers: If you have a question for Amy, please don't be shy -- ask her below in the comments section.